The Norwalk woven is yarn dyed with stretch and matching chest pockets with flap closures. 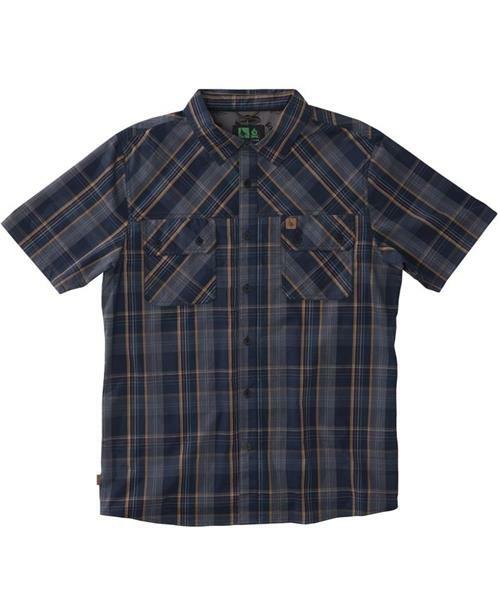 A short sleeved flannel shirt, so you can wear it even in the summer months. Includes debossed leather labels on chest pocket and side seam, to give a classic rancher feel.